Winter break will be here before you know it. Kids can be extra anxious over break waiting to open all of those beautiful presents under the tree. These holiday crafts and activities for kids can make the wait easier. Fill each day leading up to Christmas with creative fun your kids will love and save your sanity in the process. After you’re done, stick around for the Merry Monday link party. 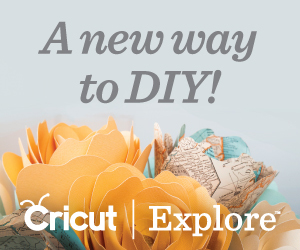 You’ll find more amazing crafts, DIY projects, and recipes to rock your Christmas holiday. These Nativity scenes are an adorable new take on gingerbread houses. The whole family will love making these fun beauties and even more fun eating them. Let your little princess feel like a rock star with this incredibly DIY. It’s also a great gift idea for her friends and cousins that you can make together. This slime is so super pretty and festive. Your kids will have fun playing long after you have finished making it. What is better than baking cookies together? Decorating play cookies that kids can put with their pretend play toys. These are super easy to make and so much fun! 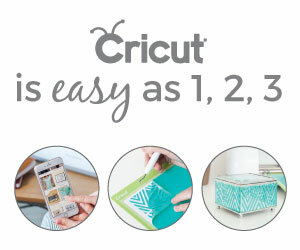 You won’t believe how easy this gorgeous craft is. It is so beautiful that any friend or family member would love getting it as a gift. Even better is that it is easy to personalize. This fun craft lets kids get all of their energy out in a big way. Watch them dance and shake after you have fun making them. Still need a keepsake ornament for the tree this year? This easy thumbprint art is a fun way to immortalize your kiddos this season. Speaking of fun ornaments, this kid-made one is another cute and easy one kids can make over winter break. This printable game is a fun activity to whip out on a day when you don’t feel like dragging out craft supplies. Simply print and let your kids have some quiet fun while you wrap gifts. Don’t worry if the holiday break has crept up on you this year. The holiday season is hectic for busy moms like you. Make the winter break fun and easy with these holiday crafts and activities for kids. Many of them can be a fun time for the whole family to enjoy together. Now it’s time to get the party started. Link up your latest posts and projects below. Then hop around and see what your friends are sharing at the Merry Monday link party this week.